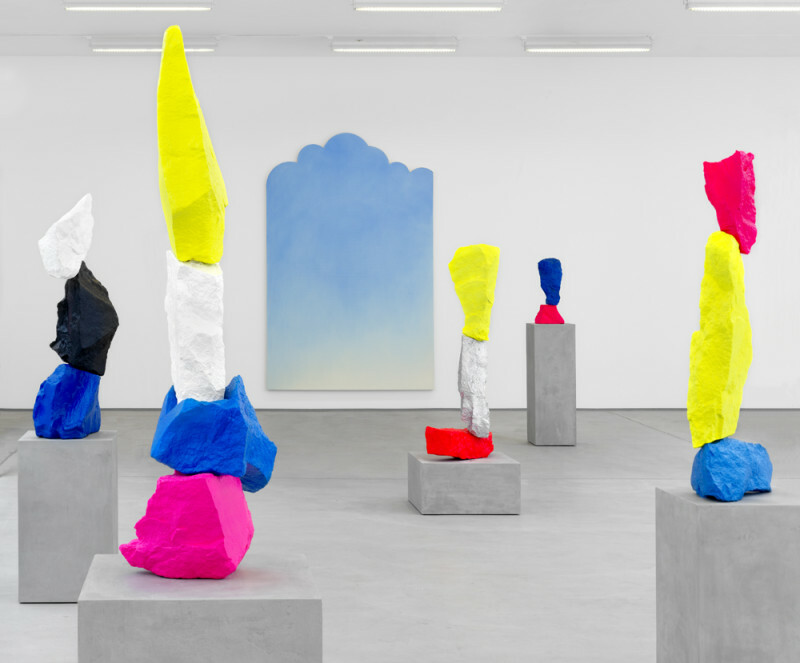 Ugo Rondinone (b. Brunnen, Switzerland) lives and works in New York and studied at Hochschule für Angewandte Kunst, Vienna (1986-90). As well as several distinct groups of paintings (landscapes, mandalas, horizons, windows, stars and brick walls), and immersive installations (featuring clowns, multi-coloured windows, and monochrome-painted walls), Rondinone makes sculptures in various materials (including an ongoing series titled still.life, and a number of large-scale masks), monumental landscape drawings, intimate still life drawings, and text-based works. His works are united by a poetic quality and an enduring preoccupation with universal themes such as time, cosmic cycles, or the primordial opposition of day and night.